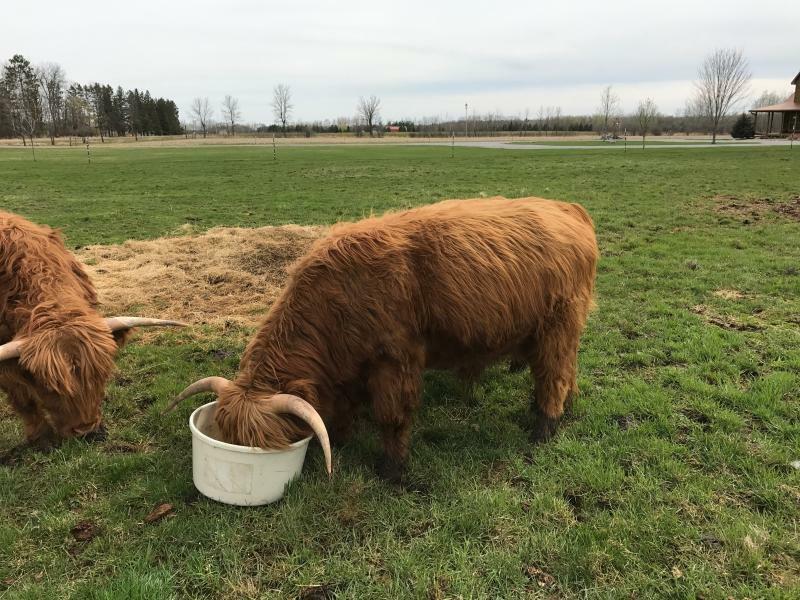 What's New at R&R Highlands? Murrahs Erik (D) is going to be an outstanding herd bull. He actually started breeding last summer at 14 months old. That calf will be on the ground soon. Click on his name and research his genetics. They are some of the best out there. Erik is stocky and looks like he will have good hindquarters. A great trait on a Highland. If you like wide horns, You will like Erik. Check out the spread in the top picture. Erik's horn are very symertrical and are growing well. His Sire, Argyle of Solomon, has a beatuiful set of horns and Erik's look just like his. 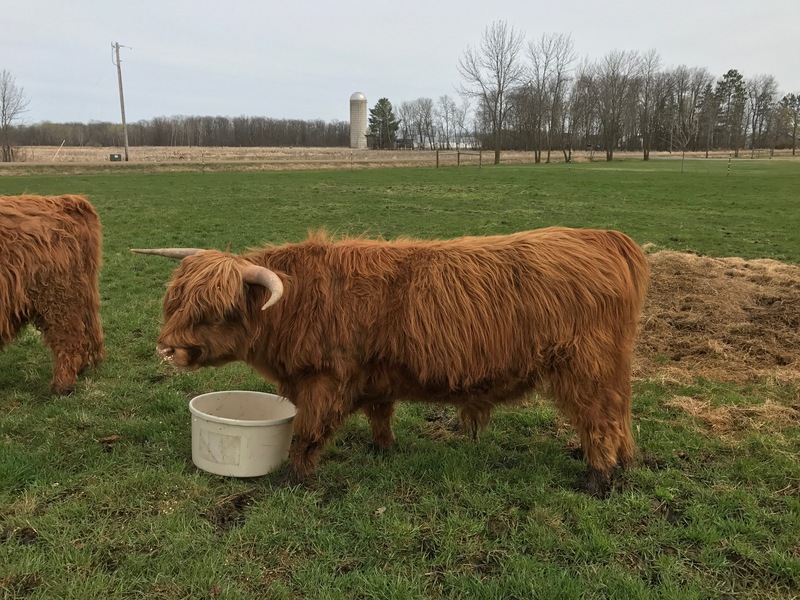 You can own this Future Herd Bull for $2000.00. 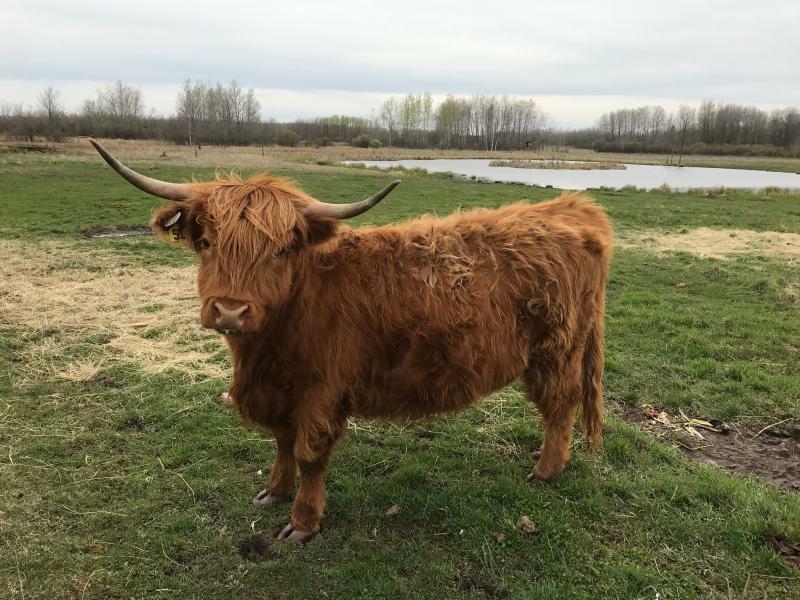 He will provide many years of solid genetics to grow your herd. Copyright 2013 R&R HIGHLANDS. All rights reserved.